We understand that the big parties you throw are to celebrate landmarks in your lives. Lots of time and effort go into putting together these events...and they go by in a *snap*! You can never talk to everyone or see everything that happens on a night that busy. That's where we come in! 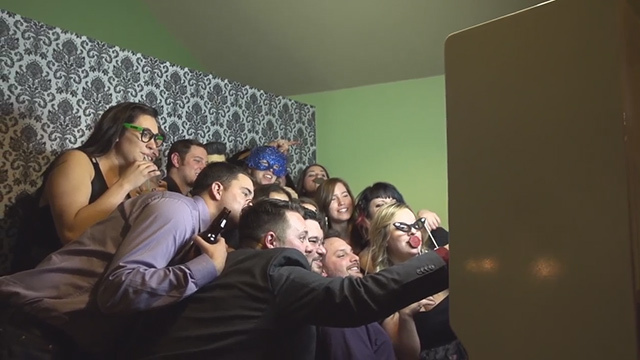 Our sleek, dynamic take on the classic "photo booth" is sure to crank up the fun for you and your guests. We also ensure that everyone (and especially you!) can go home with their very own photo strip to remember the event you celebrated together! We rent photobooths to Winnipeg and all surrounding communities in Manitoba for any and all types of events including wedding socials, receptions, and corporate functions. If you'd like to know more about how Bijou Photobooths can make your event a hit, give us a call! Copyright © Bijou Photobooths, All Rights Reserved.